to preserve the legal interests of the deceased person’s family or other interested parties. When and where is it taking place? It starts today, Monday 5 October at 10am. Court sits from 10am until 4pm each day. We don’t know how long it will last but the Coroner has allowed two weeks. 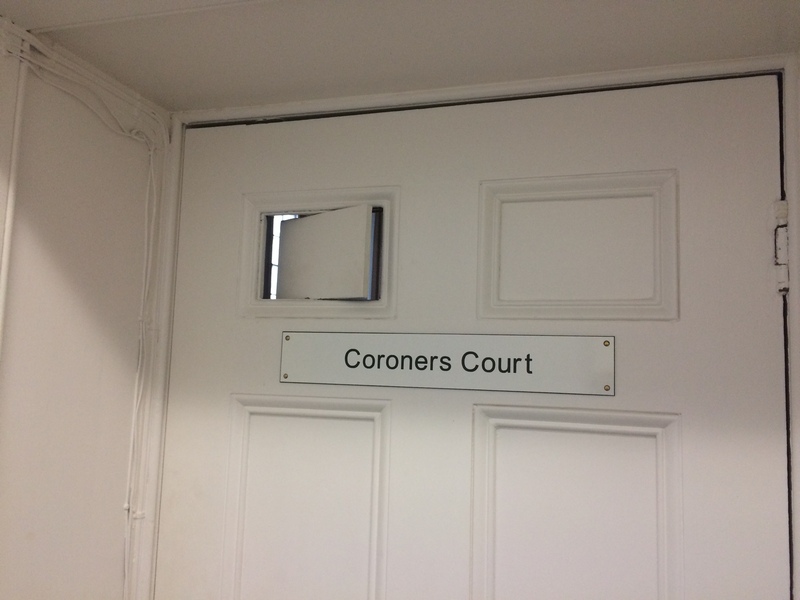 It takes place at Oxford Coroner’s Court before Mr Darren Salter, Senior Coroner for Oxfordshire and a jury. When the state has had care of the individual prior to their death the inquest is required to meet particular standards under Article 2 of the European Convention on Human Rights (which sets legal standards to protect the right to life). These Article 2 inquests have a jury. Article 2 of the European Convention on Human Rights, is often referred to as the right to life, and it means that the state has a duty to carry out an effective investigation into a death. The inquest is normally the way which the state carries this out and inquests held in these circumstances are now referred to as article 2 inquests. They are required to be, in many ways, more thorough and far-reaching than inquests into deaths that do not engage this duty. Article 2 says that the state must not take someone’s life, except in very limited circumstances, and it imposes a duty on the state to protect life, so there must be a proper and thorough review of how someone died. What specifically is likely to be the focus of LB’s inquest? 7. The adequacy of record keeping on the STATT unit. A Properly Interested Person is someone who has the right to participate in the inquest, by receiving paperwork or asking questions. The Coroner gets to decide who is an interested person and there is more information in the Coroner’s Rules at 20 (2). At LB’s inquest there are 7 interested persons in addition to the family. These people are entitled to examine any witness in person or by their legal representatives. It is up to the Coroner to decide who should give evidence as a witness. It is expected that up to 15 witness will give evidence in person over the course of LB’s inquest. Most of the answers to these questions have been provided in conversations with our legal team or through consulting the Inquest Handbook provided by the brilliant charity Inquest. We will add to this post/write more if there are other questions people have (and if we have the answers and time) so feel free to add your questions in the comments. it feels utterly redundant to just send love …but it’s all I have this week. I will follow what’s going on in the vain hope that Sara and family don’t feel alone. Love and thoughts are with you and hoping that LB gets the justice he and you and others in the future deserve.